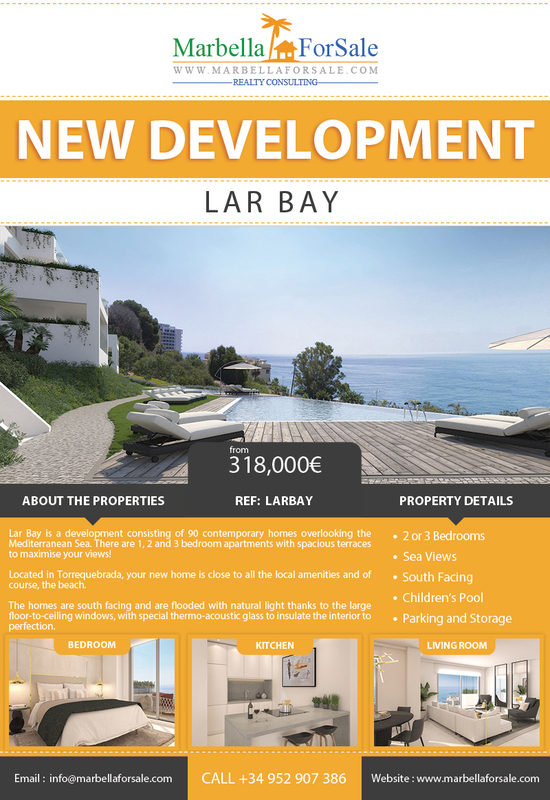 Lar Bay is a development consisting of 90 contemporary homes overlooking the Mediterranean Sea. There are 1, 2 and 3 bedroom apartments with spacious terraces to maximise your views! The homes are south facing and are flooded with natural light thanks to the large floor-to-ceiling windows, with special thermo-acoustic glass to insulate the interior to perfection.